An S corporation, or S corp, is a tax designation which allows corporations to avoid double taxation by acting as a "pass-through" entity, i.e. the income and tax liability of the corporation passes through the company and directly to the shareholders rather than to both the company and its shareholders. Although this particular business entity avoids corporate tax at the federal and state level in Colorado, S corps have tax filing requirements and must report their income. 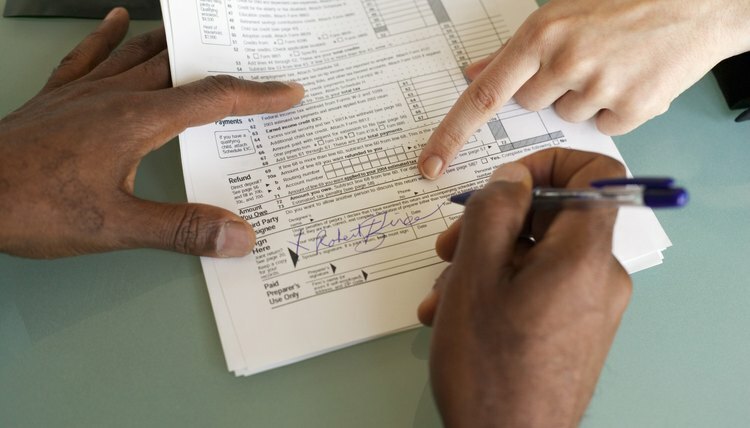 In particular, Colorado businesses are required to file both state and federal tax returns. Colorado S corps are required to file a federal tax return. The Colorado tax return will refer to what you put down on your federal tax return, so the federal return should be completed first. S corps must file form 1120S with the IRS. As a pass-through entity, the company does not pay corporate tax on the income. Instead, the income is passed through to the shareholders, who must report the income on their personal taxes. The S corp must distribute 1120S Schedule K-1 to every shareholder. Schedule K-1 will show each shareholder his portion of the company's profits, deductions and credits for use on their personal tax returns. For any year that your S corp is doing business in Colorado, you must file Form 106: Income Tax Returns for Pass-Through Entities. The form is due three-and-a-half months after the end of the S corp's tax year, or April 17 for tax years that end in December. On Form 106, you must list the income made by the S corp, along with the profit distribution to each shareholder. If any of the S corp's shareholders are not residents of Colorado, you must also file forms DR 0107 and DR 0108 to ensure all shareholders satisfy their Colorado tax liabilities. The nonresident shareholder must sign DR 0107 and agree to submit a Colorado income tax return. The S corp will include signed DR 0107 forms with their annual tax return. As of 2012, the S corp is required to withhold 4.63 percent of each nonresident shareholder's income and submit this payment with the use of form DR 0108. A separate DR 0108 form must be submitted for each nonresident shareholder for whom a payment is made, and each form must be included with Form 106. Although S corps are not responsible for state business taxes, they may be liable for other tax to the state. Depending on the type of business, an S corp may be responsible for sales tax. If your business sells tangible personal property, you must obtain a Colorado sales tax license and charge sales tax for your services. If you make sales at a location other than your regular business location, you must also obtain a "special event" license from the Department of Revenue. You are responsible for maintaining records of your sales. You must file an annual sales tax return, which the Department of Revenue will mail to you if you are licensed. How Do I File S-Corp Taxes in Georgia? Certain small businesses that operate as corporations or limited liability companies can elect to be treated as S corporations for federal income tax purposes. Many states, such as Georgia, recognize IRS designations and require the filing of an S-corporation state tax return by businesses that make the federal election. When your business files taxes as an S corporation in Georgia, revenue earned in Georgia must be separated from its other revenue.